Talk to Wellers today if you have suffered injury in an accident at work. We are a specialist team who provide a sensitive and thorough service for personal injury victims who are seeking justice. We offer a No Win No Fee package which means if your claim is not successful, you won’t be charged any legal fees and costs. Our free, no obligation initial interview gives us the opportunity to really understand the circumstances of your work accident claim, so we can offer you the advice you need to decide whether to move forward with your claim. Some work accidents cause significant injuries, such as brain and spinal injuries and it is, of course, your legal right and an absolute necessity to claim compensation for catastrophic and life threatening damage if the incident was caused by the negligence of another party. But, even relatively minor accidents, such as slips and trips at work, can create very difficult circumstances for employees, it might be difficult to go back to work after an injury, or you might need time to get suitable treatment. You might think that you shouldn’t make a claim for compensation because you are worried about how your employer will react, or perhaps you feel that you can take time off work on Statutory Sick Pay (SSP) and everything will be all right. However, SSP is only payable for a set period of time at a set level, so if you need longer to recover or you lose out on overtime or bonus payments then if you don’t make a claim you could lose out. And, if you are worried about repercussions at work because you have made a personal injury compensation claim, you are protected in law, so why not talk to Wellers today to see if we can help you. Can you claim for your work accident? Your employer has a legal responsibility to keep you safe at work – you are owed a duty of care. Your employer must also provide you with, or display in a prominent place, all relevant health and safety materials such as health and safety law posters, the workplace health and safety law policy and their Employers’ Liability certificate of insurance. Everyone in a workplace has a responsibility to keep themselves, their work colleagues and visitors to the workplace safe from harm. If you are injured in an accident and your employer or a colleague has failed in that responsibility, then you are likely to be eligible to make a claim. Where do workplace accidents happen? Accidents can happen in any workplace. Below is a list of the main industry sectors from which fatal injuries, ill health and non-fatal injuries are recorded by the Health and Safety Executive. Whatever your injury, if you have suffered as a result of negligence by your employer or a work colleague you could make a claim. The following are some of the most common types of accident at work. Figures from the Health and Safety Executive reveal slips and trips as the single largest cause of major work accident injury in in the UK. Furthermore, these workplace accidents are also often the precursors to incidents that are then statistically attributed to other causes – for example, accidents involving machinery, falls from height and incidents involving scalding or chemical burns. If you have sustained injury in an accident in the workplace, contact us today to discuss your possible entitlement to compensation. Statistics from the Health and Safety Executive reveal falls from height to be the single most common cause of fatal work accidents in the UK during 2017. Such incidents are responsible for 28% of all fatal injury accidents in the workplace. The majority of fall from height work accidents involve scaffolds, ladders, mobile working platforms and rooves. If you or someone close to you has sustained injury – for example, a spinal or head injury – in a fall from height in the workplace, contact us today to discuss the possible right to compensation. Forklift trucks are essential to the operations of many UK factories, warehouses, and industrial and construction site yards. However, they are also among the most dangerous pieces of workplace machinery. Every day in the UK, a person suffers life-changing injuries in a forklift-related incident. In fact, according to the HSE, 25% of all workplace transport injuries occur as a result of forklift truck accidents. If you would like to discuss the possibility of claiming compensation for injury sustained in a forklift accident, contact us today. Every year more than 2,000 serious personal injuries are reported to the HSE involving workers or contractors falling from vehicles in the workplace. Such incidents frequently involve lacerations, broken limbs and sometimes serious injuries to the head or spine. If you have suffered pain, injury and loss of earnings as a result of a fall from a vehicle in the workplace, contact us today to discuss the possibility of claiming compensation. Falls from height are the largest single cause of fatal workplace accidents in the UK. A large proportion of these incidents fall into the category of ladder accidents. During the period 2015-2016 these incidents accounted for an additional 5,956 non-fatal injuries. If you have sustained injury in a ladder accident, you may be entitled to compensation. There are many causes of these incidents, including improper training, poor maintenance and unsafe working practices. Plant and equipment in the workplace can cause injury in many ways. Whether workers are struck by moving parts or flung objects, have body parts trapped and crushed, come into contact with sharp objects or are injured by hot or chemical materials, the consequences can be very serious. Machinery accidents often result in amputations, especially of fingers, hands and arms. If you would like to investigate the possibility of claiming compensation for injury sustained in a plant and equipment accident, contact us today. Hazardous substances in the workplace are a very real threat to the UK’s workers. In fact, around 13,000 deaths each year are linked to workplace exposure to some kind of hazardous substance, with a further 1.3 million workers suffering from ill health caused or exacerbated by hazardous substances in the workplace. Call Wellers today to discuss your circumstances. Falling objects in the workplace can cause many different kinds of injury, from relatively minor lacerations to the arm or hand, to more serious spinal or brain injuries. Whether you have suffered, cuts, bruises, concussion, a broken bone or blindness as a result of a falling object in the workplace, talk to us today about the possibility of claiming compensation. If you have sustained injury while working in an enclosed, or largely enclosed, space you may be entitled to compensation. Working in confined spaces often brings an inherent and foreseeable risk of fire, explosion, asphyxiation, drowning or loss of consciousness. Contact Wellers today, to find out if we could help you make a claim. Needlestick and sharps injury accidents pose a significant risk, not only of laceration and blood loss but also of infection, particularly in medical settings where items may be contaminated with HIV, Hepatitis or some other pathogen. If you have suffered a sharps accident or needlestick injury, contact Wellers today, to find out what to do next in respect of claiming compensation. Manual handling injuries fall under the umbrella of musculoskeletal disorders (MSDs). These types of injuries account for more than a third of all reportable workplace injuries in the UK. The Manual Handling Operations Regulations 1992 (MHOR) require employers to manage the risks to their employees. If you believe that your employer has failed in this regard, you may be entitled to claim compensation. Employers have a duty to ensure the safe working and ongoing maintenance of workplace equipment. In some cases, safety procedures are bypassed to allow ease of use and to speed up processes, but these can lead to dangerous working practices and it is the responsibility of the employer to ensure that all health and safety procedures are followed by staff. If you have suffered a broken bone, a laceration, amputation or crush injury as a result of unsafe working equipment, talk to us today about the possibility of claiming compensation. To make a personal injury claim with the dedicated team at Wellers Law you can contact us at our offices in Bromley. We work across Kent and Surrey and throughout the South East. Our No Win No Fee lawyers will discuss your injury and the circumstances of the accident so we can ascertain whether your claim is likely to be successful. Our accident and injury solicitors are members of the Association of Personal Injury lawyers (APIL). For professional, committed and caring assistance with your injury at work claim contact us on 0208 290 7958 and ask to speak to one of our personal injury lawyers. 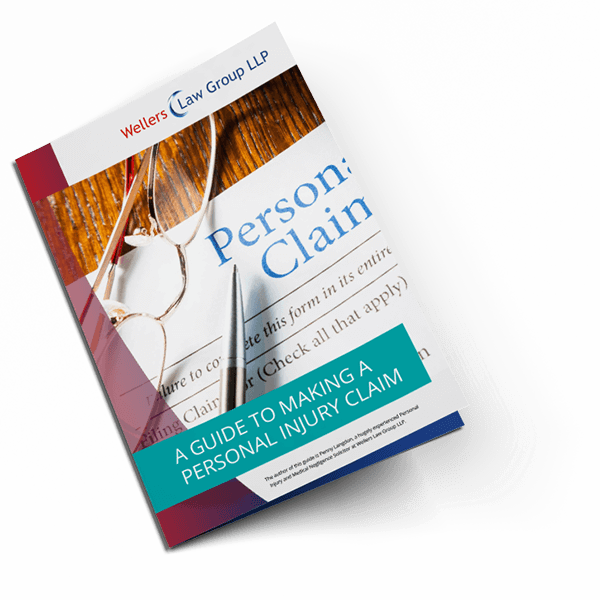 Or you could fill in our short online Personal Injury Claims Questionnaire by following the link or email personal injury@wellerslawgroup.com.